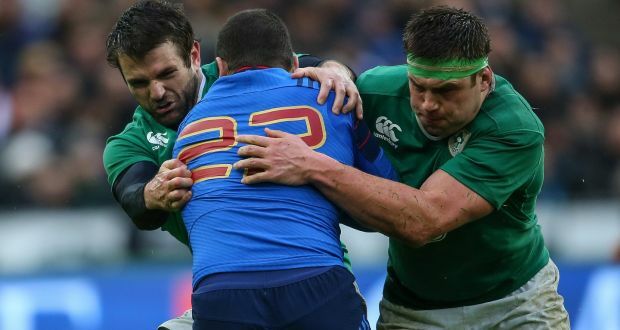 CJ STANDER IS the ultimate advertisement for the project player rule. Kimmage, Hunt have made strong cases against foreigners playing in Irish jerseys but have wrongly targeted the players who are simply doing the best thing for their rugby careers. The residency rule is a farce but the people that have lived by it deserve respect. Stander for example, had the initiative to pack his bags in Pretoria back in 2012 when told he wouldn’t make it – he’s now the finest blindside flanker in international rugby. He followed an opportunity that was available to him and moved to a different country for a fresh start, while also still having the chance to potentially play international rugby. Jared Payne, Richardt Strauss, Nathan White the same. All had Super Rugby careers that for one reason or another came to a standstill, but they had too much ambition to just sit back and accept their faith. Irish supporters should, and largely do respect that. When these players take to the field for Ireland you want them to do well, you think “fair play to that guy, he turned things around for himself and is now here playing at the top table of the sport”. Criticizing them for that is inconceivable to me, but their ambition, endeavour and passion doesn’t make them Irish. I’d agree. Regardless of how committed the New Zealand or South African-born man wearing the green jersey is, he has no connection to the country outside of his professional life. The team is Ireland. The country is Ireland. Surely the players involved should all be Irish? The Project Player rule has become this accepted thing, and okay as long as it’s there we should appreciate the athletes taking advantage of it, but the longer it goes on the more diluted international rugby becomes. After all, who’s idea was it to allow a New Zealander to play for Ireland, a South African to play for France et al? Rugby should follow international football’s lead. Ireland Vs England isn’t 23 men with Irish blood against 23 men with English blood any more, it’s more akin to a major European rugby game between the two countries. Regardless of how much you and I might respect CJ Stander or Nathan Hughes, that’s quite wrong. But please stop pointing fingers at the players and angle them towards the top dogs at World Rugby. CJ Stander and the likes have taken an opportunity available to them to reach their full potential and I hope to see them continuing to strive for their adopted countries. However, going forward, I think I speak for most people when I say that the players for every national side should first have a life-long ambition to play for their country. It’s time to fade out the residency rule.